These extended wear contact lenses are meant for those who love to wear them and then forget them. 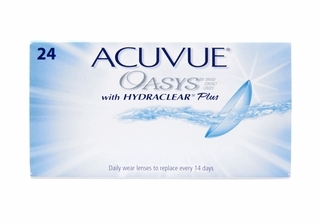 Acuvue Oasys contact lenses by Johnson & Johnson can be worn for six consecutive nights; so, all you need to do is change them just about once a week. The Hydraclear Plus technology employed in Acuvue Oasys contact lenses makes every blink a smooth and comfortable glide. With 98% oxygen availability when your eyes are open, you are sure to completely forget that you are actually wearing lenses. 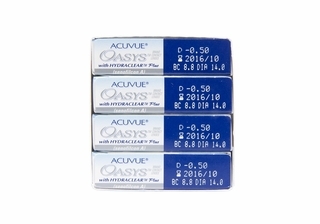 Acuvue Oasys contact lenses also give you 96% UV-A and 99% UV-B protection. With so many features, Johnson & Johnson Acuvue Oasys contact lenses are perhaps the most practical and advanced lenses you can find in the market today.